"Stupidity will not win," says a surviving columnist for Charlie Hebdo, and the magazine will be published next week despite the devastating attack at its Paris office that left 12 dead. Patrick Pelloux, a Charlie Hebdo columnist, said on CNN affiliate BFMTV that the issue will be published next Wednesday. "We can't let them win," Pelloux said. Earlier, the Paris-based AFP wire service reported that the staff met Thursday to begin planning the next issue. "We are all suffering, with grief, with fear, but we will do it anyway because stupidity will not win," Pelloux said. A lawyer for the magazine told AFP that a million copies will be printed, more than ten times its usual total. In the wake of the attack, a number of French officials and editors at other news outlets have said they will aid the continued publication of the magazine, potentially through financial and technological support. 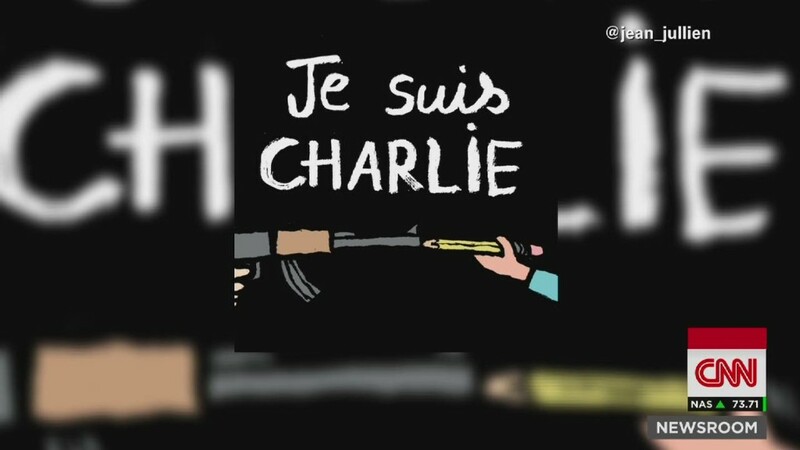 On Thursday, a French media fund financially backed by Google (GOOG) said it would donate money to Charlie Hebdo. The fund helps promote online news media in the country. The amount of money and the way it'll be spent is still being discussed, said Ludovic Blecher, the director of the group. Other foreign media companies have also pledged cash. Britain's Guardian Media Group will donate £100,000 to Charlie Hebdo "to help ensure it's not silenced," Guardian editor Alan Rusbridger tweeted.